Perched on the banks of the Sand River in the Masai Mara National Reserve is Sand River Masai Mara. 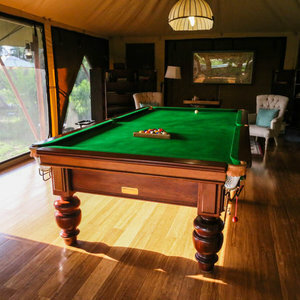 The luxury permanent tented camp is in the perfect position for a secluded getaway offering great wildlife experiences. The Sand River winds its way along parts of the border between Kenya and Tanzania. Sand River Masai Mara is located on the river bank right near the border giving guests the opportunity to look out into the Serengeti. This prime position in the Serengeti-Mara ecosystem creates incredible wildlife viewing opportunities.The Masai Mara National Reserve itself is famed for its abundant and diverse wildlife. One of the Masai Mara’s biggest attractions is the annual Great Migration. From June to October, thousands of wildebeest, zebra and Thompson’s gazelle thunder across the Mara River before spilling out onto the Mara plains. Sand River Masai Mara is placed directly in the route of the migration with river crossing points near to the tents. 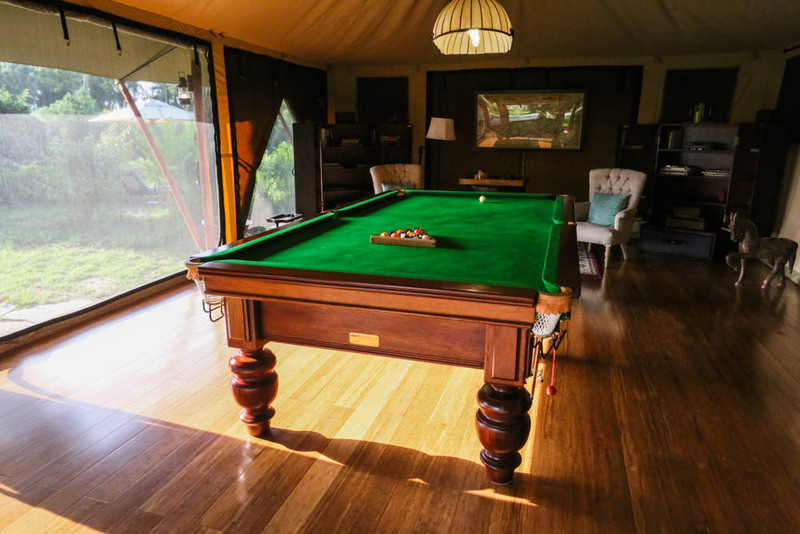 The camp consists of 16 luxury tented suites including a family tent. 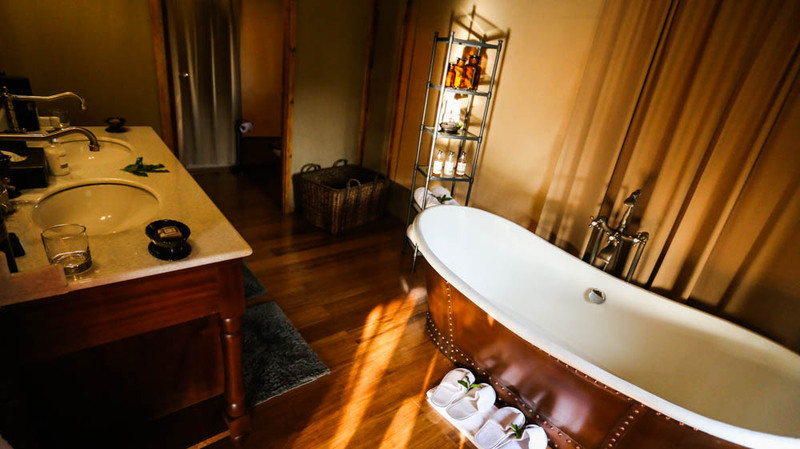 Each is en-suite with a private deck. 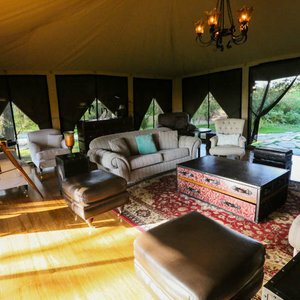 Sand River Masai Mara covers two camp areas with 10 tents at Sand River and 6 tents at nearby Little Sand River. A short walk allows guests access between the two sections. 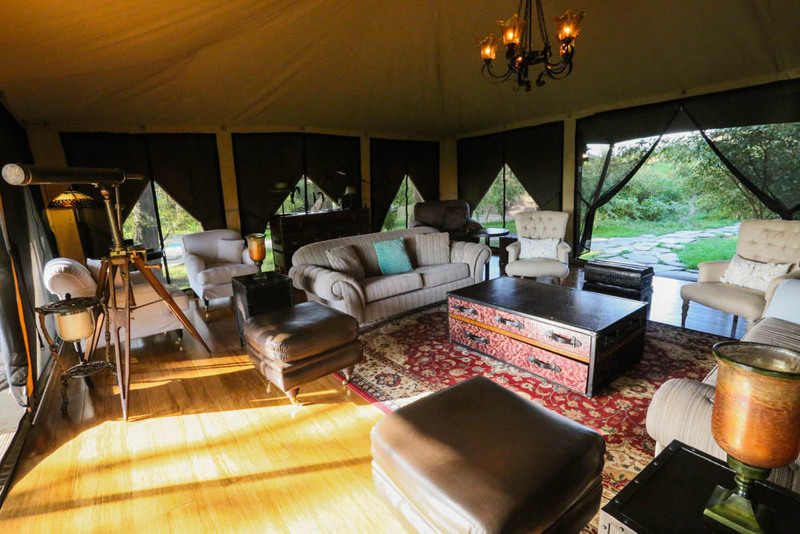 The smaller camp adds to the exclusivity of staying at Sand River Masai Mara. 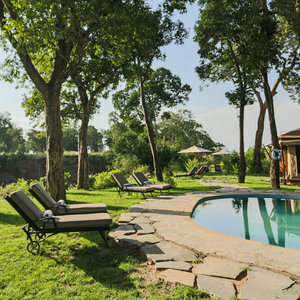 There is also a shared pool available for guests to cool down in after a long day on safari. 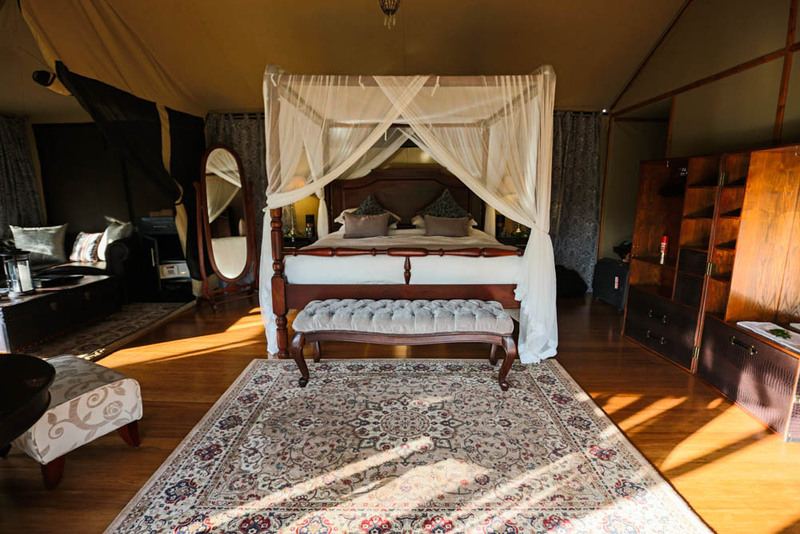 The camp has been carefully designed with classic 1920’s safari camps being used as inspiration. 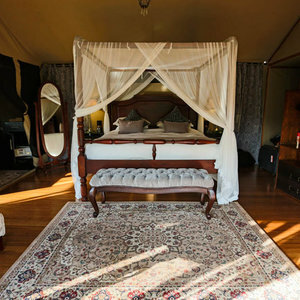 The aim is to create the ambience of classic safari glamour and elegance with the trimmings of modern luxuries. 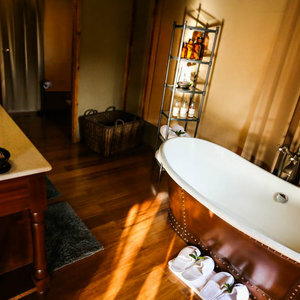 The design is emphasized by the beautiful, unspoiled, surrounding grasslands and riverine forests. 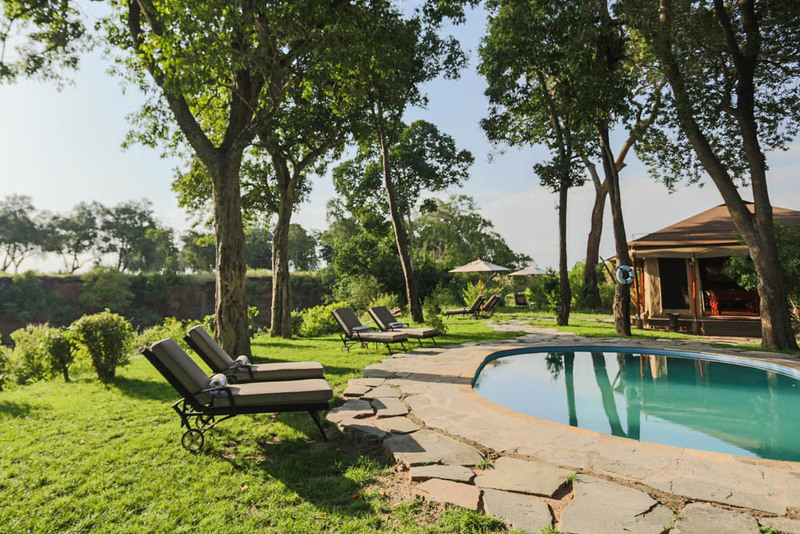 During a stay at Sand River Masai Mara, guests can look forward to bush breakfasts, picnic lunches, game drives, balloon safaris and local cultural excursions.